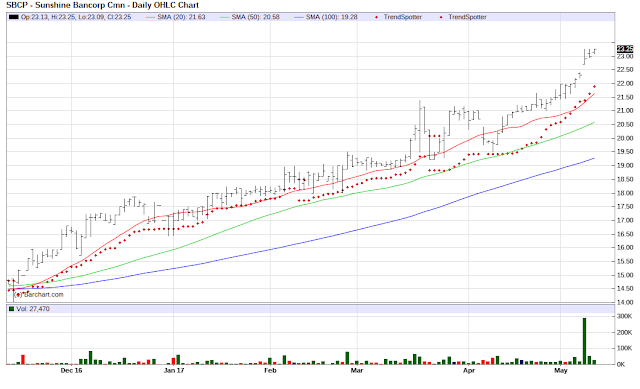 The Chart of the Day belongs to Sunshine Bancorp (SBCP). 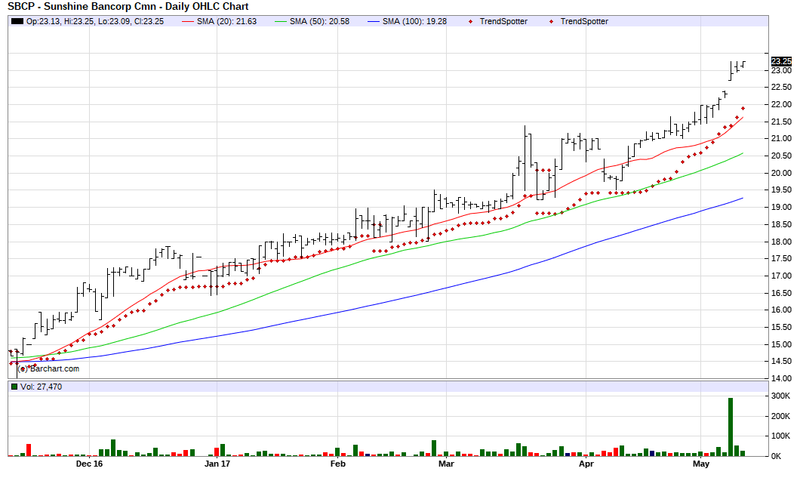 I found the Florida Savings & Loan stock by using Barchart to sort today's Top Stocks to Own list first for the most frequent number of new highs in the last month, then again for technical buy signals of 80% or more. Since the Trend Spotter signaled a buy on 3/27 the stock gained 15.15%. Sunshine Bancorp, Inc. operates as a savings and loan holding company. It offers deposit accounts to consumers and small businesses such as savings, NOW, money market, and certificate of deposit. The company also provides online banking services and remote deposit capture, commercial real estate and business loans. Sunshine Bancorp, Inc. is based in Plant City, Florida.